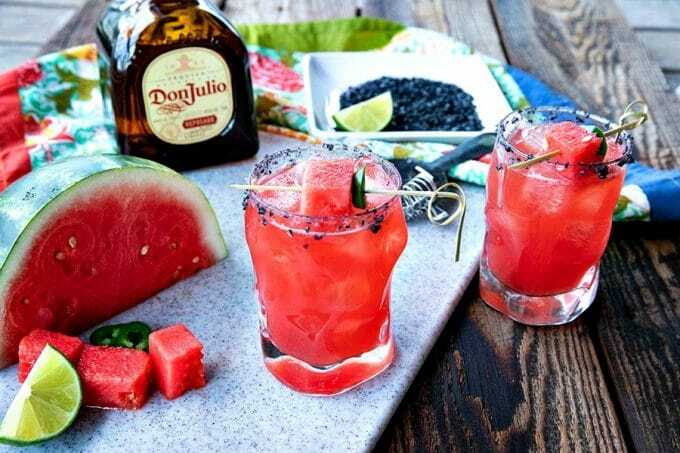 I am thrilled to be partnering with Princess Cruises once again to bring you this amazing Watermelon Margarita; also known on Caribbean Princess as Sandia En Fuego. 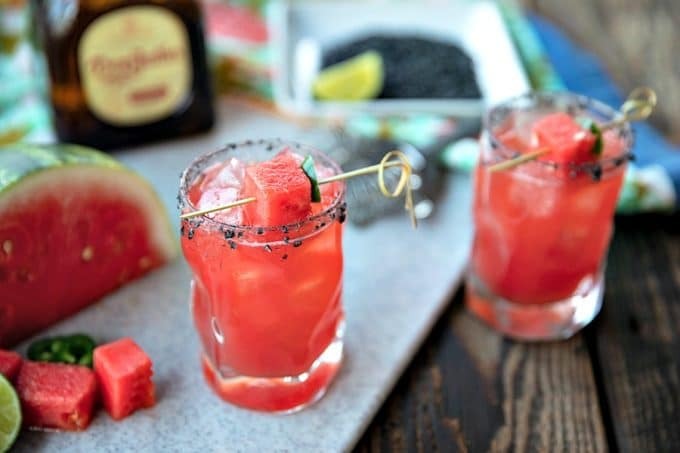 This subtly spicy Watermelon Margarita is the most refreshing thirst quencher on hot days. Princess Cruises provided me with the Caribbean Cruise, but all photos and opinions remain -as always- my own. Late in March, my girlfriends and I packed up, flew from different corners of the country, and converged in Ft. Lauderdale, Florida for a girls’ week in the Eastern Caribbean on Caribbean Princess. To say we were excited is the understatement of the century. Our wonderful husbands kept the home fires burning; in my case, quite literally, since it was 30 degrees and snowing and we heat with wood. The girls and I, meanwhile, had an experience that I know we’ll all remember and cherish for the rest of our lives. Christi and I were roomies while Mary and her sister Jenny shared a stateroom. A couple of days into our Caribbean cruise, we discovered the Good Spirits Bar on the Plaza Deck; Deck 5 where the seriously fabulous bartender introduced us to a Watermelon Margarita called The Sandia En Fuego; Watermelon On Fire. After our fifth trip to the Good Spirits bar for these gorgeous, vibrant, bright pink margaritas, our bartender could almost sense us coming and fired up his shaker before we even asked. 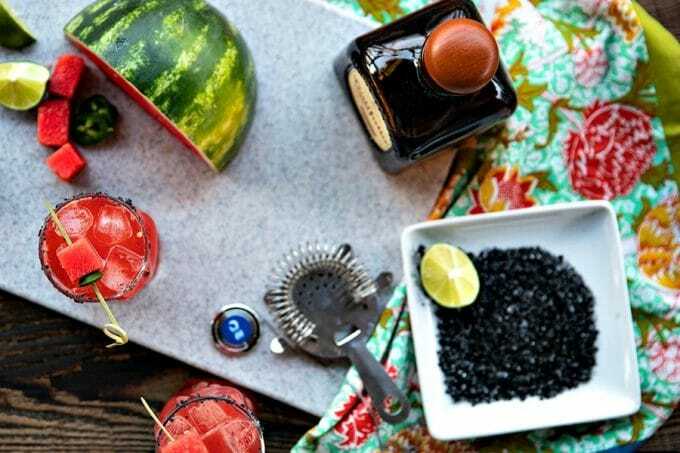 He was generous enough to share the Watermelon Margarita recipe with us, knowing we would be want to remember our fabulous trip by making more at home. But before I get to the Watermelon Margarita recipe, I need to tell you what we did on the ship that was a little unusual. Before this cruise, I expected to have a hard time getting a hold of people on land. Six days before sailing, my eldest son -who is living in Germany- had emergency surgery for abscessed tonsils. I was very close to cancelling my trip. It was so bad that he needed to be in the hospital for days. God bless his doctor, he allowed me to facetime him before the surgery and kept me updated afterward. I was told that I would have uninterrupted access to high speed internet. This soothed my nerves because in previous cruises, my internet was metered, limited, intermittent, and slow as molasses in January and that just wouldn’t have been acceptable under the circumstances. I needed my internet to be good and fast so I could be in touch with my son. And man, oh man, they delivered. The internet access on the ship was positively incredible. It wasn’t just that the internet was unlimited, it was that it was fast and that affordable. It was truly the best internet I’ve ever experienced at sea. Heck, it was on par with my high speed internet at home. For $139 for the entire trip, I was able to connect 4 devices to unlimited internet access; my iphone, my laptop, and my tablet, plus one to spare. That $139 was the difference between me being able to take the vacation I had booked with my girlfriends and choosing to stay home to get details on my kiddo’s health. I was able to talk to Liam as often as he was able to get in touch with me. And when I knew Liam was okay, I was able to actually relax. My girlfriends and I all had things going on at home that we wanted to keep tabs on. This internet was absolutely, positively the thing that let us enjoy our Watermelon Margarita every night, the pizza that we had for lunch, the pudding that we ate in abundance, the spa treatments that spoiled us, and the well-appreciated fun time. Oh, but there’s more. We also learned the internet was fast enough for us to stream our favourite shows from Netflix. We streamed TWO WHOLE SEASONS of our favourite show in the evenings. All while eating french fries, pizza, pudding, drinking a Watermelon Margarita, and enjoying our time to the max. Thankfully, it was easy-peasy to grab our drinks and a tray full of goodies and head back to our cabins. We used our wearable Ocean Medallions (more on this super cool leap in cruising technology in a later post) to pay for our drinks every time. Suffice it to say -for now- we didn’t have to remember our room cards every time we left our staterooms. 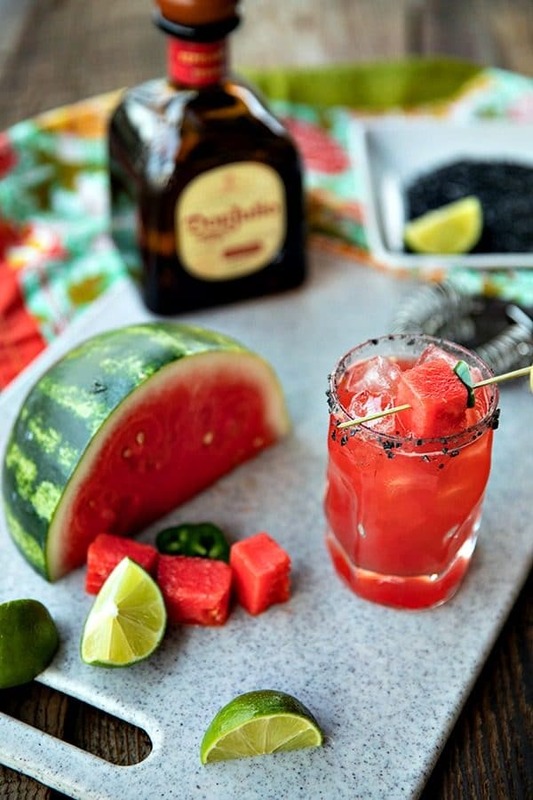 Thankfully, this Watermelon Margarita Recipe is wickedly easy to make. 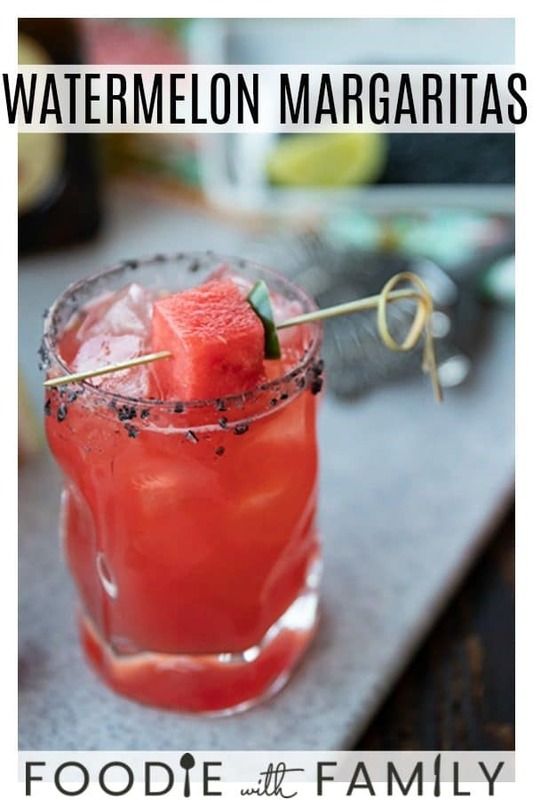 It doesn’t take anything exotic or out of the ordinary; just fresh watermelon, reposado tequila, fresh lime juice, a hot pepper, and some coarse salt. 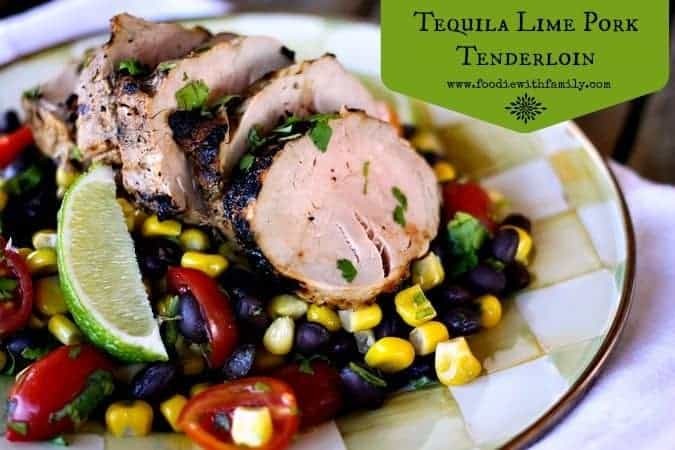 If you want to get really authentic and have the closest thing to Caribbean Princess Sandia En Fuego experience, you can use Black Lava Salt to rim your glass. I’m more than okay with coarse sea salt flakes or kosher salt at home, but black volcanic salt is quite good, so order it if you can. Whatever you do, don’t go for iodized table salt. That will render your Watermelon Margarita recipe inedibly salty. Blah. Light agave syrup is what is called for in the recipe shared by our cruise bartender, and it is what I prefer. If you absolutely cannot lay your hands on light agave syrup, you can use plain simple syrup or mild honey as a substitute. They won’t be exactly the same, but they’re pretty darned close. Speaking of close, the original recipe calls for serrano peppers. While I love them, I was unable to find them in April in Western New York, so I substituted fresh jalapenos, and was perfectly happy with them. 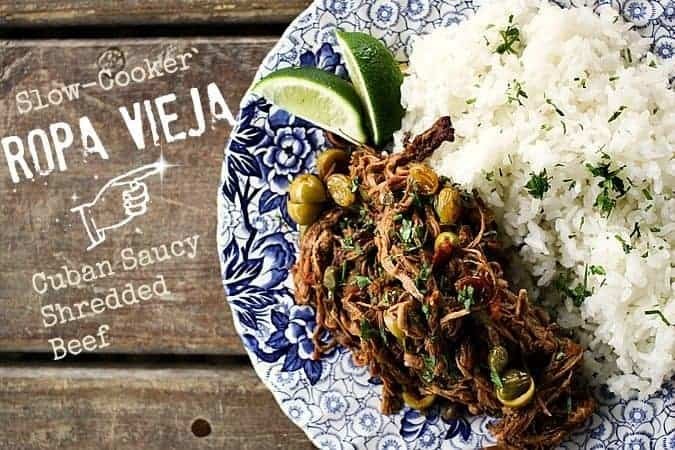 If you dislike any spice, you can opt to omit the serrano or jalapeno peppers, but I think that little background heat in these is heavenly. I do love old-fashioned seeded watermelon; I think it’s naturally sweeter and juicier. That said, it’s almost impossible to find in Western New York outside of August, and seedless watermelon is quite delicious in these Watermelon Margaritas. While seedless watermelon is an absolutely a-okay substitute for seeded watermelon, there is no substitute for fresh lime juice. 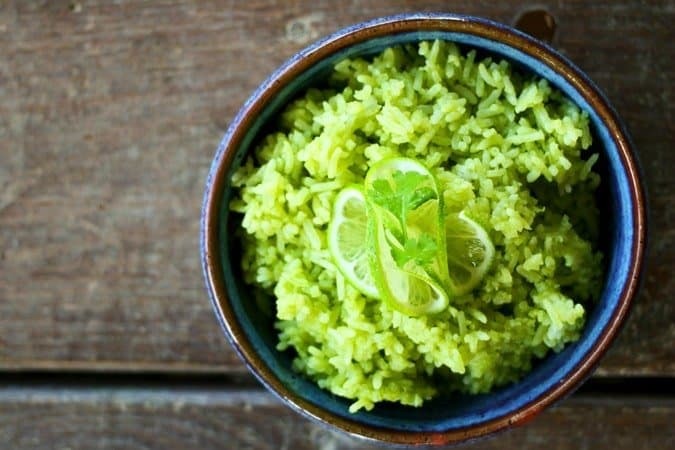 Bottled lime juice just won’t cut it in a margarita. What Do I Use to Make a Margarita? You’ll need a muddler and any cocktail shaker will do the job. I love this shaker. 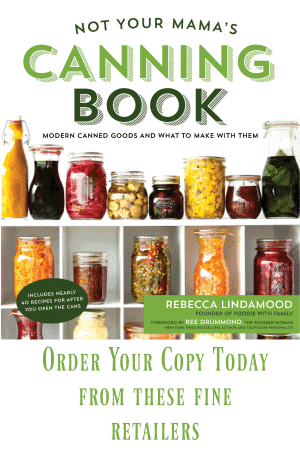 You can skip a shaker if you don’t want to buy one, and use a simple quart canning jar with a tight fitting lid. If you don’t have a shaker with a built in strainer, you’ll need a nifty little stand alone strainer. While classic Margarita glasses are iconic, Good Spirits on Caribbean Princess did not use them and I don’t love the glasses either because they are more than a little prone to tipping over or being knocked over. I prefer a nice rocks glass for them, like these Bormioli Rocco glasses. -Muddle together the watermelon cubes and jalapeno slices in a cocktail shaker for about 1 minute, or until the watermelon is pulverized and liquid. -Add the tequila, agave, and lime juice with a handful of ice to the shaker. -Firmly close the shaker and shake vigorously until the shaker is cold to the touch, about 1 minute. -Dip the rim of 2 rocks glasses in fresh lime juice, then Volcanic Black Salt (or kosher salt). -Fill the rocks glasses with fresh ice, then strain the cocktail into the glasses. 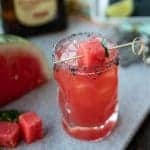 -Garnish each glass with a skewer that has a cube of watermelon and a slice of jalapeno. Pretty pink Watermelon Margaritas are refreshing, thirst quenching, lightly sweet cocktails for any time you need to cool down and chill out. Muddle together the watermelon cubes and jalapeno slices in a cocktail shaker for about 1 minute, or until the watermelon is pulverized and liquid. Add the tequila, agave, and lime juice with a handful of ice to the shaker. Firmly close the shaker and shake vigorously until the shaker is cold to the touch, about 1 minute. Dip the rim of 2 rocks glasses in fresh lime juice, then Volcanic Black Salt (or kosher salt). Fill the rocks glasses with fresh ice, then strain the cocktail into the glasses. 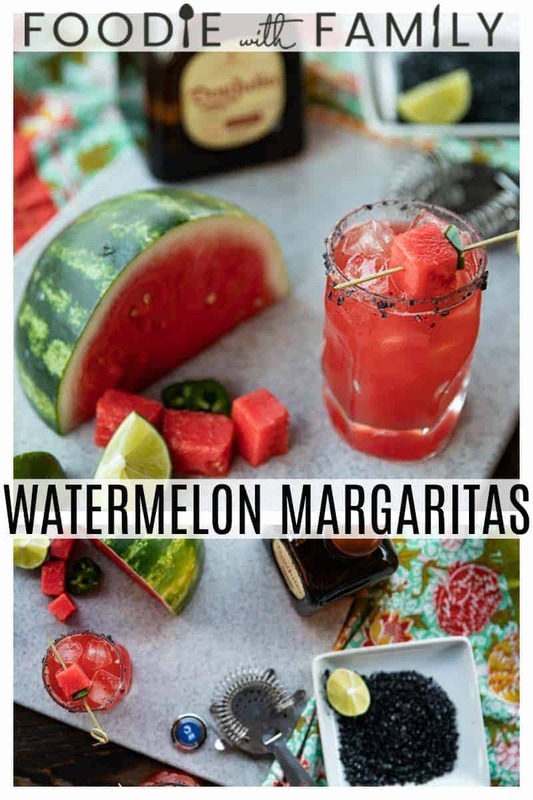 Garnish each glass with a skewer that has a cube of watermelon and a slice of jalapeno. You know exactly how much I love this cocktail. The cruise really was absolutely perfect. I’m so glad that we were able to experience it together! I do know and I absolutely love that we were able to do this together, too! It made it even better than wonderful! Rebecca, not only was it a BLAST to cruise with you, but I enjoyed sipping cocktails with you – including this one! 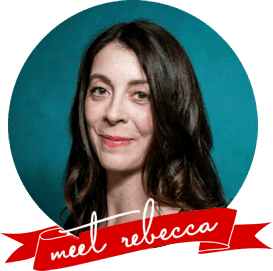 – in the Good Spirits bar! Wasn’t it delicious? Going to have to make this one now that I’m back home. Your photos are gorgeous, and it has me craving one! You made it!!! This was the BEST drink and you even have that delicious salty rim. This is gorgeous!